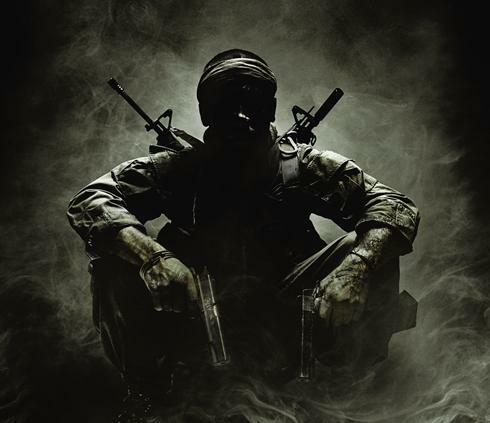 Besides the teaser trailer, we really don't know much of anything about the next Call of Duty title called Black Ops. Sure we can speculate based on the flashy imagery, but a lot of our questions are still unanswered. USA Today steps up to the plate with an interview with the game's developer Treyarch, and studio head Mark Lamia. The first order of business, or end of speculation, is that of being able to fly an SR-71 Blackbird. While the plane was visible in the trailer, and most had hoped to get to take to the skies with it, we've learned that it'll be similar to the AC-130 missions from Modern Warfare, though players will "send orders to the plane" from the ground. The setting of Call of Duty: Black Ops has also been up in the air, with many believing Vietnam would be our locale of choice. Instead of focusing on one theater of war, Treyarch is focusing on a time period - which appears to be the 1950s through the 1980s - or the Cold War. The name of the level, "WMD," is set in 1968, during the height of the Cold War. The players' character is part of a larger endeavor to stop the spread of Communism. As the foursome moves through the facility, they come to a relay station they must take out. Of course what stands out at you with the above quote is the fact that there's a "foursome." While co-op was confirmed, we now know the there will be co-op play for up to four players. It's unclear though whether or not this is through the game's main campaign or a separate campaign. Finally the one thing that was stressed throughout the three page preview was the historical research that has gone on into the game. 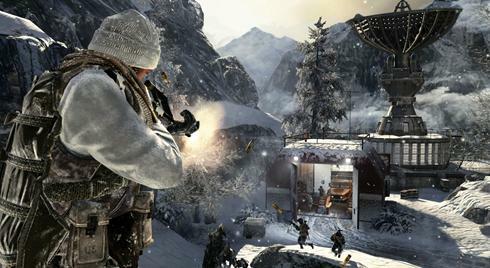 Treyarch not only wanted the game to be historically accurate, but they wanted to find little hidden gems within the stories of the Cold War that would make interesting gameplay features. One of those is the military crossbow. The modified military crossbow seen in the preview level, Lamia says, "is a great example of how elite black ops teams were permitted to equip themselves for whatever job they had at hand, which means that they could get a hold of anything and modify it any way they wanted to accomplish their missions objectives. The specific crossbow in the game is based off the design of a military grade crossbow. The use of the our crossbow was inspired by a story we heard about from Major Plaster about a member of SOG who would equip himself with a bow for some of his real-life missions, and our research, which showed its use by indigenous warriors in Vietnam that fought with special forces. In our case here, it served this mission as a dual-purpose weapon used for stealth, and one which when modified, could stealthily and precisely place a lethal explosive at range." Black Ops certainly sounds refreshing, and hopefully there's more surprises in store for us. I expect a lot more details to be revealed at E3 this year, and we'll be there to bring you them.